Rhum Agricole – Arcane Rum from Mauritius! Here´s sunny rums from a sunny island…Mauritius! The three expressions in their range are the Delicatissime, Cane Crush and the Extra Aroma. The Extra Aroma I tried for the first time at Maria Loca during Daniele Dalla Polas Tiki Night and I was amazed by the strong banana flavor of this rum which mixed wonderfully with his amazing tiki drinks. 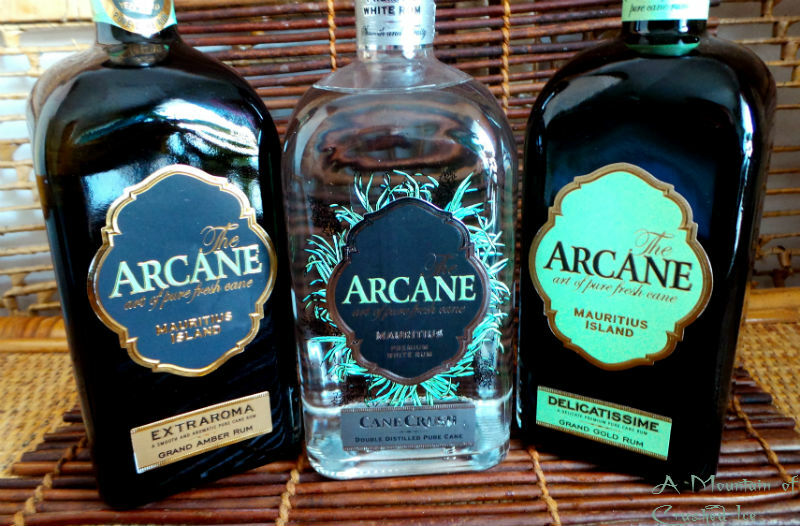 On the webpage it says – What Arcane stands for is this : in a white rum or in a 12 years old rum, you will always taste, in different versions,the magnificence of cane aromas. Arcane rum is always made from the distillation of pure cane juice. 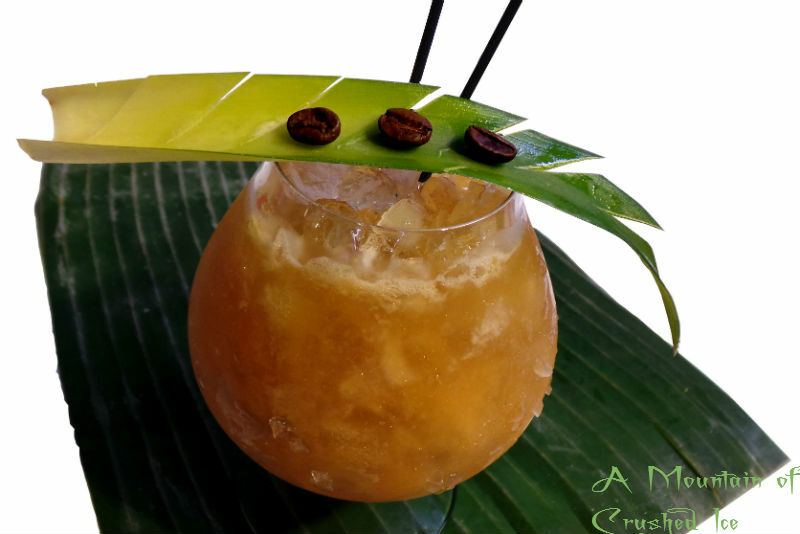 So let´s start with the Cane Crush, it´s a very aromatic rum with lots of fresh “green” sugarcane flavors, grassy, floral and lively. It´s distilled twice, first in pot stills on Mauritius and then a second distillation in small alambics is made in Cognac.These alambics are the french variant of the alembic – which is an arabic word for a type of still that originally was used to make perfumes and it´s the alembic still the modern pot still is based on. Nose – It´s crispy and fresh, grassy and a bit floral in the nose with slight hints of citrus. Mouth – A very pleasant flavor, fresh and crispy just like like the nose but a little bit peppery with a fruitness and roundness backed up by the typical grassy agricole flavors of fresh cut cane. Finish – I find the finish to be medium long with a fresh light cane flavor that stays for a little while. A very pleasant and tasty rhum agricole that can be sipped easily and also mixed equally well, it´s tasty and balanced. Nose: Here´s something entirely different….this rum has a strong nose of banana and coconut and the notes of grassy agricole flavors are quite restrained. Mouth: Banana….hints of coconut and something perfumey and floral, hints of cane and some grassiness. It`s a tropically flavored aged agricole rum with strong banana and coconut flavors if that makes sense. 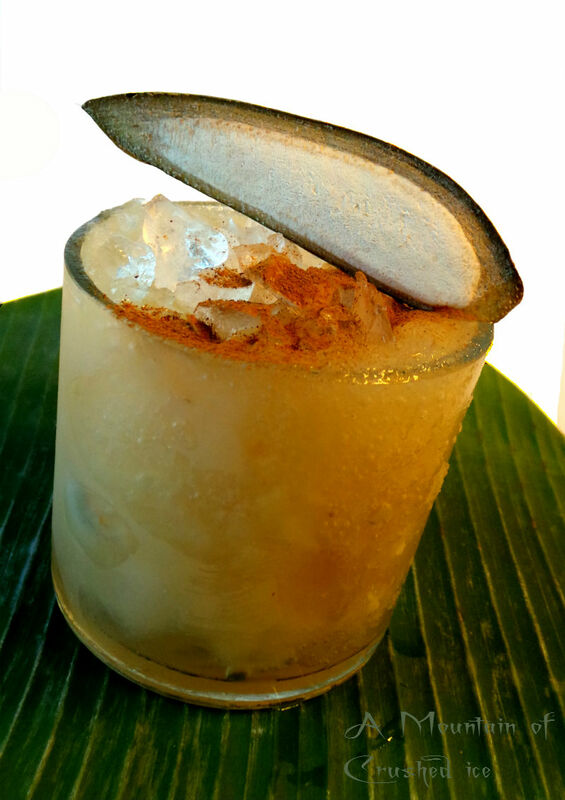 It`s like a spiced rum with coconut and banana and quite sweet. 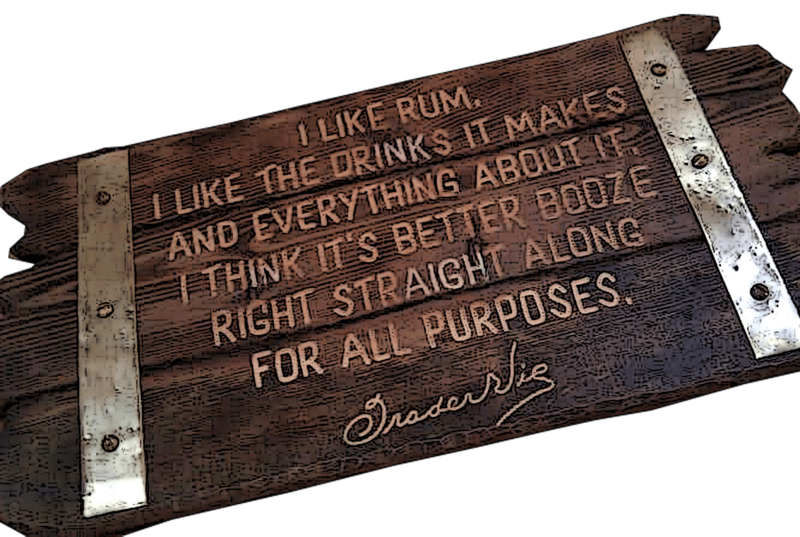 I believe it´s a “like it or not” type of rum. Personally I like as a mixer because it mixes well in tiki drinks and tropical cocktails. 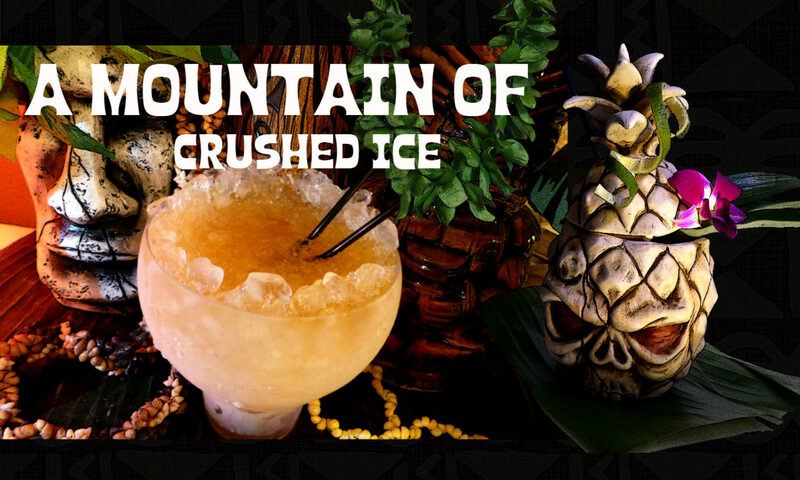 I tried it the the first time in Paris at Maria Loca when Daniele Dalla Pola did his “Arcane Jungle Bar” tiki night and made tiki drinks with among others, this rum which mixed wonderfully in his drinks. The pronounced banana and coconut flavors (and some other tropical fruits) paired with the aged rhum agricole notes makes a statement to try to best describe it, if you like those flavors you`ll probably like this rum, if you don´t like banana and coconut you won`t like this. In tiki drinks and exotic cocktails it´s wonderful and I like the aftertaste of coconut. In the description it says “12 year old solera aged in oak barrels” which does not mean that all the rum in the bottle is 12 years old but that there´s a percentage, how small, we do not know, that should be 12 years old in the blend of younger rums. Finish: Aftertaste of coconut that lingers in your mouth for a while that gets me to think of a brown coconut that has been cracked and all the brown pieces spread out on the ground. The name “Extra Aroma” surely is true, this rum has a LOT of aroma! but as a sipper there´s bit of a sugar-bomb warning. Nose – A bit herbal and spicy, with hints of freshly cut grass, vanilla and some spice. Mouth – Hints of vanilla, peppery, pronounced herbal grassiness and hints of floral notes as well, lively agricole flavors. This rum mixes as well as the Extra Aroma in exotic cocktails and I found that mixing the two, or any of them with Cane Crush is just as great, any of these rums adds a lively flavor to cocktails. This is a young golden rum that has been aged for 18 months in oak barrels and it`s kinda dryish but with sweet vanilla aromas. For sipping, the one I prefer is the Cane Crush because it´s the cleanest and driest of them to me and for sipping neat I prefer a bit drier rums that has nothing added to them. It also makes a fine ti punch of course. 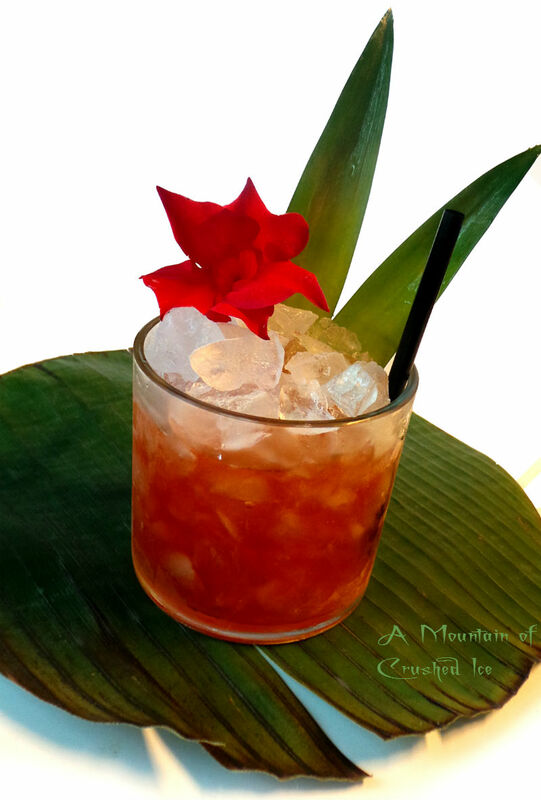 For mixing I find them quite versatile, especially with tropical type of drinks, the flavors just comes together…. I have no idea if these rums contains any additives but I`m positively sure that there´s some kind of sweetness added to the Extra Aroma since it has such strong banana and coconut notes. I believe it may have natural flavors added or at least so I hear, and then some sugar, but there´s no info…anyway, it´s not cloingly sweet, it more makes a real strong statement of banana and coconut. Then we have the bottles, I really like them, they have a cool design and the labels look exotic which pairs well with the rums they contain seeing to where the rum is made. But I would like to see more info on the labels as to what the rums contain as well, the more transparency the better. And now on to the last one, a sort of bonus in this post, it´s a spiced rum. This spiced rum is not the Arcane brand, it´s called “Beach House Spiced” which is a rum infused with tropical floral and spicy flavors dominated by orange which comes in a very pretty bottle at 40% abv. The nose is very floral and perfumey with hints of orange and spice. To be honest it´s too sweet for my palate but I can see it as a cocktail ingredient and also as a dessert rum – or if you like it sweet, as a sip on the beach at sundown which it says it´s designed for. I think this rum would benefit from a reduction of the sweetness though especially since the spice flavor is a bit on the floral side. But those with a sweet tooth will probably love it. Now on to the drinks! 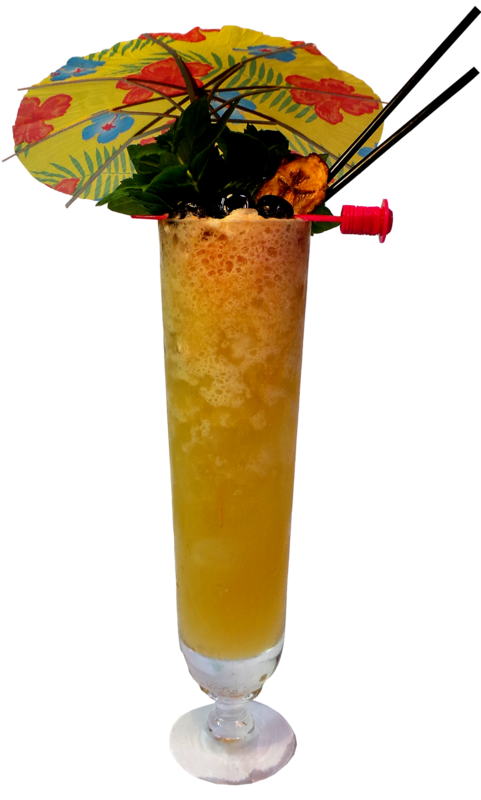 With some funky grassy, sugarcane, banana and coconut flavors from the rums paired with the darker roasted coconut water and nutty macadamia and orgeat flavors, this is my funky Colada! Blend all ingredients at high speed for 5 sec in a blender with 2.5 dl/ 1 cup crushed ice. Pour into snifter and add more crushed ice to fill. Garnish with a pineapple crown. The roasted coconut water can be difficult to find but can be subbed with unsweetened and if possible, fresh coconut water. 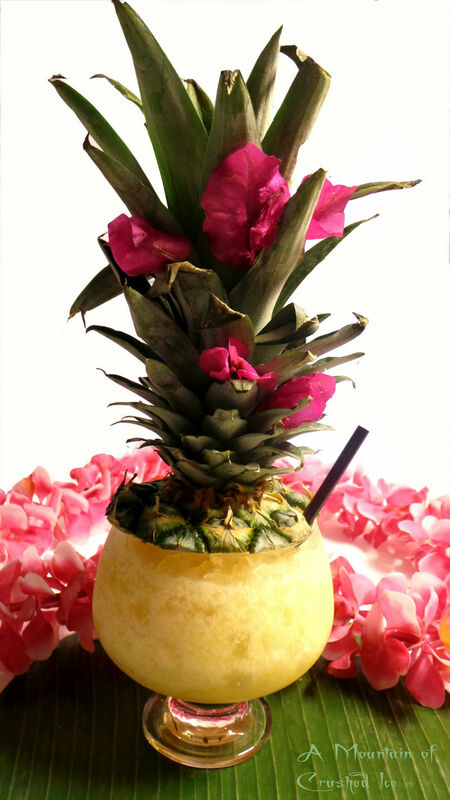 The Pina Colada is in my opinion an underestimated drink and it´s one of my favorites. It`s also a fun drink since it lends itself to a lot of experimentations! Adding an agricole rum with rich banana aromas gives this drink an extra tropical dimension. A Banana Daiquiri a day….is the #DRINKTROPICAL way! Fresh lime juice for the sour and for the strong, Arcane Extra Aroma and Delicatissime blends together into a sumptuous tropical daiquiri drink….there´s no other “weak” in this except for the crushed ice….but the spice “to make it nice” is there in the dust of cinnamon and in the rums. Now this is not a Planter`s Punch but an extra lush banana daiquiri! Blend in blender with 1 cup crushed ice for 10 sec and pour into a double old fashioned glass. Garnish with a piece of frozen banana and a dust of cinnamon. For a small bottle of syrup, make a simple syrup with 2.1 ratio of coconut palmsugar and water (about 1 cup of sugar) and slice 1/2 banana in it and mash slightly with a fork and boil on medium heat for a couple minutes but do not let it caramelize. Take off heat and add 2 tbsp 80% Stroh ¨(or other overproof rum good for flambeeing) and flambè before leaving to cool and flavors to set for about 30 mins, then strain and bottle. This drink is an experiment, since I wanted to try the Beach House Spiced as a cocktail ingredient and due to it`s pronounced orange aroma I decided to use equal parts hibiscus grenadine and the spiced rum instead of simple syrup in a Jungle Bird since orange and Campari pairs so well. 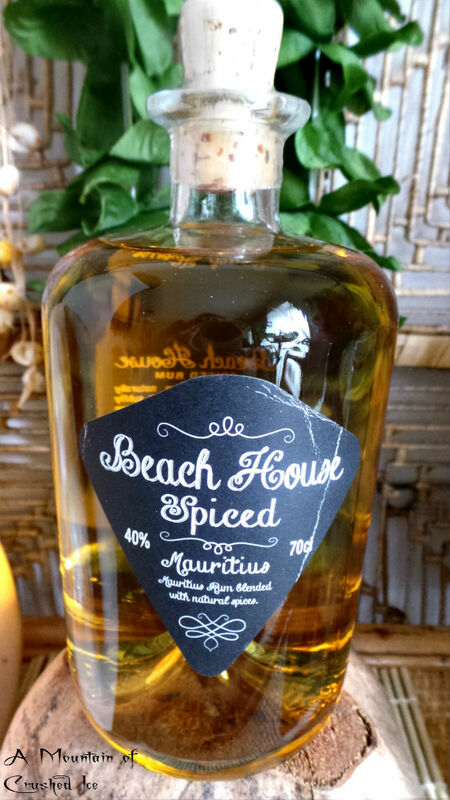 As for the Beach House Spiced as a cocktail ingredient, it works just fine and can be used instead of for example orange liqueur or simple syrup giving a subtle floral, slightly exotic perfumey character to the drink. Now this drink has Campari which in itself adds a lot of flavor with it´s herbal, bitterness so you get it in double measure here :-). Shake with plenty of cracked ice, strain and pour into a old fashioned glass filled with fresh cracked ice. Previous PostPrevious Rhumfest Paris 2016! Next PostNext EKTE Spirits – Independent Rum bottler hailing from Denmark!